In medicine jargon, we call it Nocturnal enuresis. In layman’s language, you call it bedwetting. Enuresis is a prevalent condition among children under 6years. Before you condemn your kid, understand that this is involuntary urination. In fact, 13% of children aged six years bed-wet, in addition to 5% of children aged 10years. Enuresis more often than not runs in families. With time the kids outgrow this behavior. Consequently, if you are past the Age of 7 years, you need to put in place control measures. This article will get into more details on how you can achieve that. Let your child help with cleaning. If sleeping away from home, pack a few best cloth diapers. Finally be sensitive and supportive to your child. Drugs to slow urine production. Drugs to increase bladder capacity. Who Is At A Risk Of Enuresis? You’ve probably heard that your child is suffering emotional issues. Maybe you’ve even been told that they have a medical condition. Much as the latter might be true, this is rarely the case. Doctors are yet to find out what causes enuresis and maybe why it stops. In the meantime, shun from such myths. Bedwetting is a part of your kid’s development. I understand that you might feel embarrassed at times, but you need to learn how to cope. Bear in mind that, this condition is as harder for your child to cope, as it is for you. Therefore, resist the urge to condemn them when they wake up with wet bed sheets. Instead encourage them to try a few of the solutions we shall discuss further in this article. Because the kid feels that they are helping to correct their mistakes, this will help them gain control over the situation. Tasks as little as taking their wet pajamas to the laundry bin make the baby psychologically at peace. Today there are leak proof mattress covers. Invest in a few. Also, buy pajamas and underwear that are heavy and absorbent. Place a changing set nearby. You never know when they need one. The beauty about cloth diapers is that they blend easily with the baby. They feel as if they were wearing pants. So even if they don’t wake up to wet sheets, they’ll still know they did wet the bed last night. That saves you the stress of cleaning up your host’s sheets, but at the same time, your baby becomes alerted. Stickers come in handy. Place them when they wake up to a dry night. At the end of the week, give them their due rewards. Much as they still wake up to wet mornings, reward them for following their bedtime routine. You could also award them for helping clean up. The point is to make your kid feel appreciated for their effort: no matter how small. I cannot emphasize enough how important this is. Remember that myth? You will only identify underlying problems if you still connect with your tot. Encourage them to express disappointments and other emotional turmoil to you. You’ll be shocked at how much kids can share. You even understand the reasons why they still cling to their best baby swings despite outgrowing them. Consequently, offer them solutions. Ensure them that you still love them regardless. If it is beyond your help, see a counselor. A feeling of calmness and security might probably play a great role in stopping bedwetting. Most of all is patience. And work through this problem together. They commonly occur if you don’t change your child after enuresis at night. A simple remedy is to use a rash cream. Or use a protective moisture ointment at bedtime. Obviously, your child will be hesitant to go for sleepovers. They will opt out of activities such as camping which have remarkable benefits. You can overcome this by being sensitive to their needs and supporting them. The most efficient method is peeing twice. At the start of bedtime and just before they fall asleep. Finally, if in a position, wake them up in the middle of the night to urinate again. With time, encourage them to wake up on their own to use the toilet. Encourage them to hydrate themselves during the day. Probably give them as much as they can take. At night, they will have reduced thirst. Therefore end up drinking a little or none. Consequently, no need to empty their bladder in bed! While there are many negative impacts of caffeine in children, it’s important to note that it stimulates the bladder. A baby who takes caffeinated products increases their chance of bedwetting. This factor is especially relevant if your kid takes caffeine in the evening. The best bedwetting alarms are programmed to sound just when the child begins to urinate. As a result, the baby can wake up and rush to the toilet. With time, they subconsciously wake themselves at a similar timing just to go to the toilet. These are the best inexpensive solutions for your kid. Much as they take time to see results, they have no side effects. In addition, they guarantee long-term success. 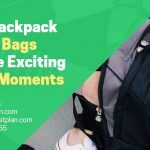 However, if they don’t work for them, it’s time to grab your best backpack diaper bag and read on. Your child experiences unusual thirst after bedwetting. They experience pain or a burning sensation when urinating. Hard stools, red or pinkish urine as well as snoring. They had stopped enuresis for almost six months or more, and suddenly they begin bedwetting. They start to wet their pants during the day, or they suddenly have to urinate frequently. Any unusual signs and symptoms your baby has been experiencing. In addition to the above indications, keep a record of how many times they visit the toilet. Also note whether or not they felt an urgency to urinate during these visits. Finally, how much fluid they take. This will be especially relevant after dinner. Recent life changes that have occurred in their life. For example, have they changed schools? Any supplements, medication or vitamins your child is on. Your family history especially concerning enuresis. The above symptoms may indicate bladder problems, urinary tract infection, diabetes, severe stress or even constipation. 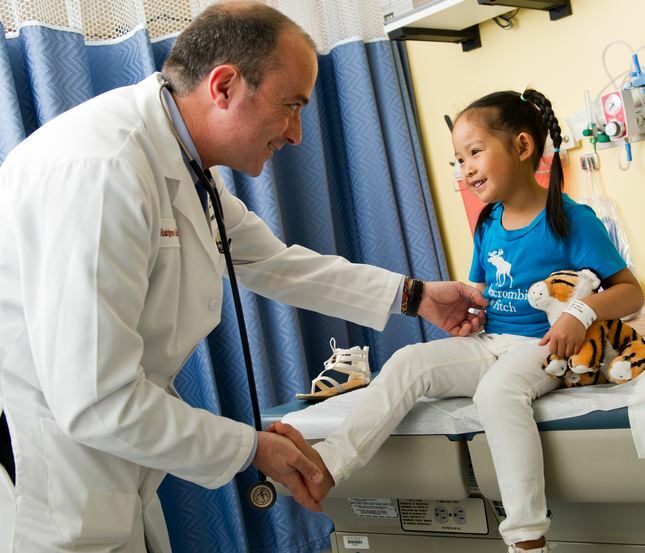 Your pediatrician will most probably refer you to a pediatric urologist. In other words, this is a doctor specializing in urinary disorders. From the physical examination, the doctor may probably recommend a urinalysis. This test checks comprehensively on all possible urinary tract related infections, disorders or diseases. In addition, he may feel the need to perform an x-ray. The focus organ for this would be the kidneys or bladder. Also depending on how your answer the doctor’s questions, they may recommend other relevant tests. Desmopressin can be used as a short-term use drug. An example of this is DDAVP. This might come in handy when going for sleepovers. However, for long-term use, this drug works perfectly. A few pointers to note are that the drug increases the level of anti-diuretic hormone (ADH). Consequently, the body makes less urine when you give this drug. Under such conditions, you need to limit fluid intake. Otherwise, you risk seizures. Seizures will result from low sodium levels in the blood. It is recommended you only give a maximum of eight ounces of fluid while taking the medication. In addition, you should not give the drug if your baby has vomited or is nauseated, or has a headache. Most of all never give nasal sprays of this drug. You risk serious side effects as detailed by Food and Drug Administration. Anticholinergic drugs are drugs that reduce bladder contractions and in return increase its capacity. Oxybutynin (Ditropan XL) is a great example of these drugs. I would not recommend this unless all other treatment has failed. Medication only works at the point your baby will be taking them. Immediately you stop the medication, 99% of the chances are that the baby resumes bedwetting. Now, we take a look at non-conventional medicine. While there is no concrete evidence to prove these methods work, they do treat other conditions. Such conditions may be stress, constipation, and the likes. Removing certain foods in a diet is believed to control enuresis. Such foods are caffeine products. Try increasing roughages to take care of your baby’s digestion. An excellent tool for relieving stress, acupuncture has shown positive results in enuresis children. This treatment accompanied by toilet visits at night has also shown some positive results. I did mention earlier that the causes of enuresis are not known. It seems like our researchers have a few speculations on the causes. Signs of UTI include reddish urine, discomfort or even pain during urination, frequent urination, enuresis and finally daytime accidents. Visit a doctor immediately you notice such symptoms. Diabetic children might experience enuresis. In addition, they tend to get thirsty a lot and exhausted easily. In addition, they pass large amounts of urine at once and can’t seem to add weight despite a good appetite. ADH (Anti-diuretic hormone) is responsible for slow urine production at night. Children who don’t produce enough of ADH tend to suffer enuresis. : This condition is best described by breath interruption when a child is sleeping. Mostly occurs due to enlarged or inflamed adenoids and tonsils. More symptoms of this condition include a sore throat, snoring, frequent sinus and ear infection, and also daytime drowsiness. Long term constipation weakens your baby’s control muscle. As a result, they can’t control urine at night and end up bedwetting. A defect in your baby’s urinary or neurological system: It is extremely rare that this will cause enuresis. A small bladder: An underdeveloped bladder might not hold enough urine for the entire night. As a result, your baby will bed-wet. Stress: Environmental changes, family problems, bullying at school and such occurrences tend to stress out babies. If you baby is stressed they tend to lose control of situations and enuresis is not an exception. Not recognizing a full bladder: The bladder is controlled by a series of nerves. If these nerves are not well developed, your baby will not know when the bladder is full. Hence they will involuntarily urinate in bed. 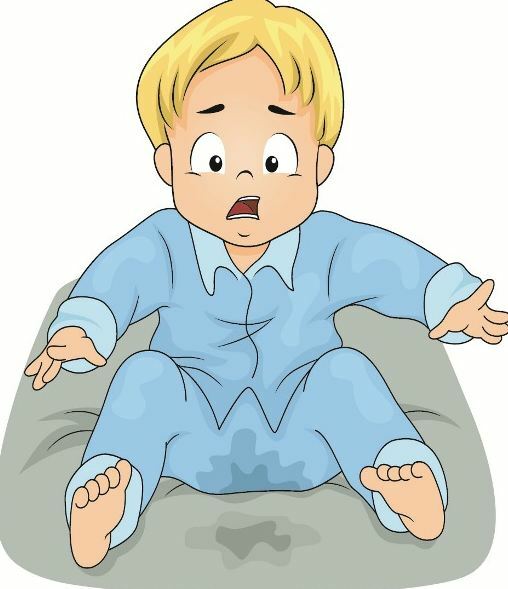 Family history: If you have a history of bed-wetting in your family, the chances are that you baby will also bed-wet. Male children: Statistics have it that enuresis is twice more common in boys than in girls. Children with ADHD (Attention-deficit/hyperactivity disorder). Now that you have in-depth knowledge about enuresis, I hope you shall be able to outgrow it together with your baby. Don’t rush to medication before you try the home remedies. Ultimately, always remember that this is just a stage in growth, and your baby will pass it too. This blog post is written by Dr. Rachel, the owner and blogger of Ultimum baby. She is a certified practicing Pediatrician at Oakland Children’s Hospital in California.